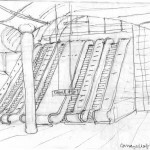 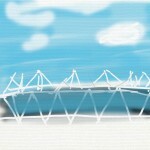 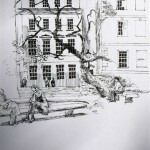 Shelby Dawbarn spent two years at the Bartlett School of Architecture and two at the Liverpool School of Art. 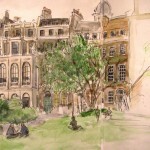 After a long gap she began again in the 80s at Islington Art Classes, Mary Ward Queen Square and the Prince’s Drawing Studios, all in London. 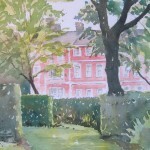 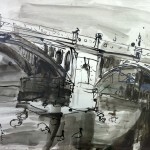 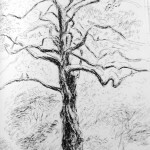 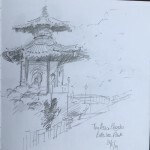 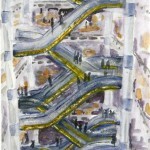 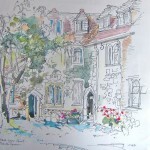 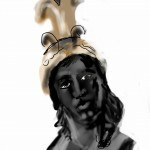 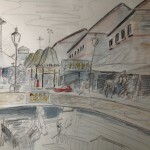 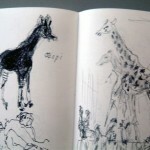 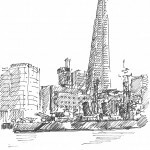 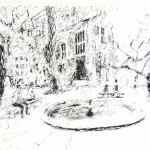 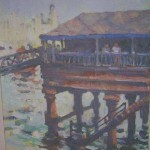 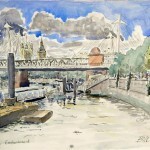 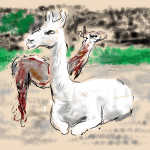 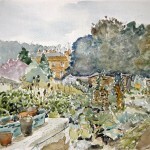 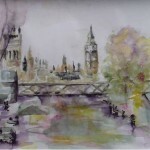 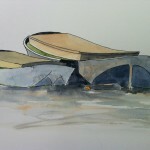 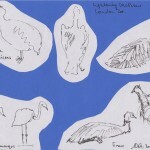 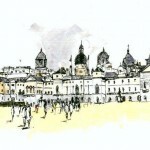 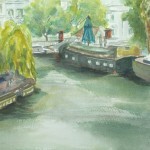 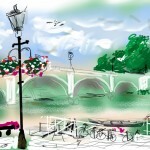 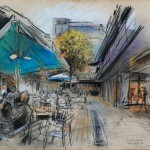 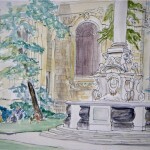 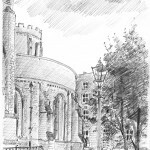 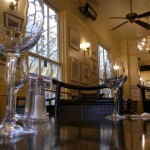 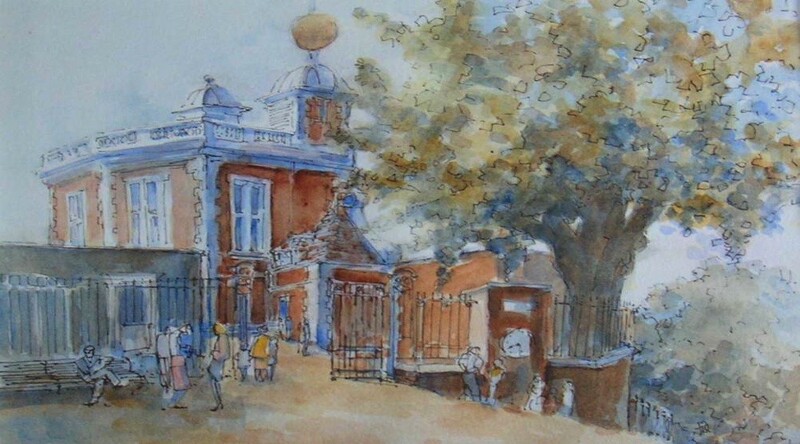 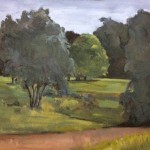 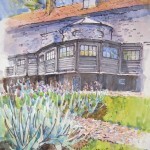 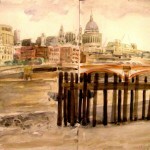 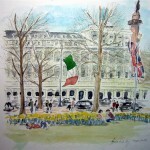 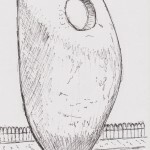 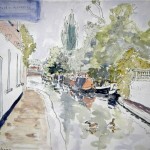 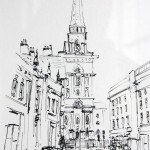 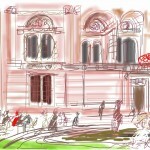 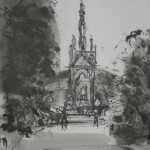 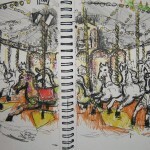 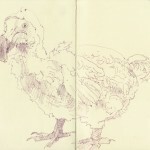 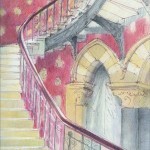 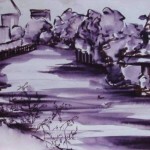 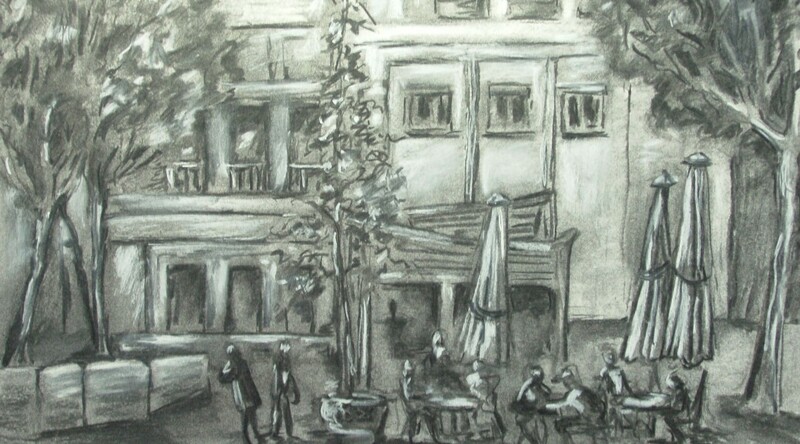 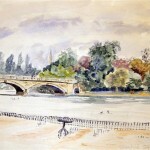 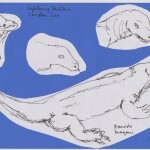 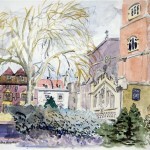 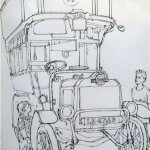 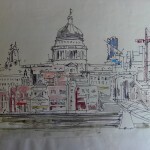 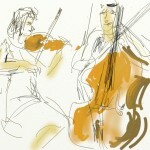 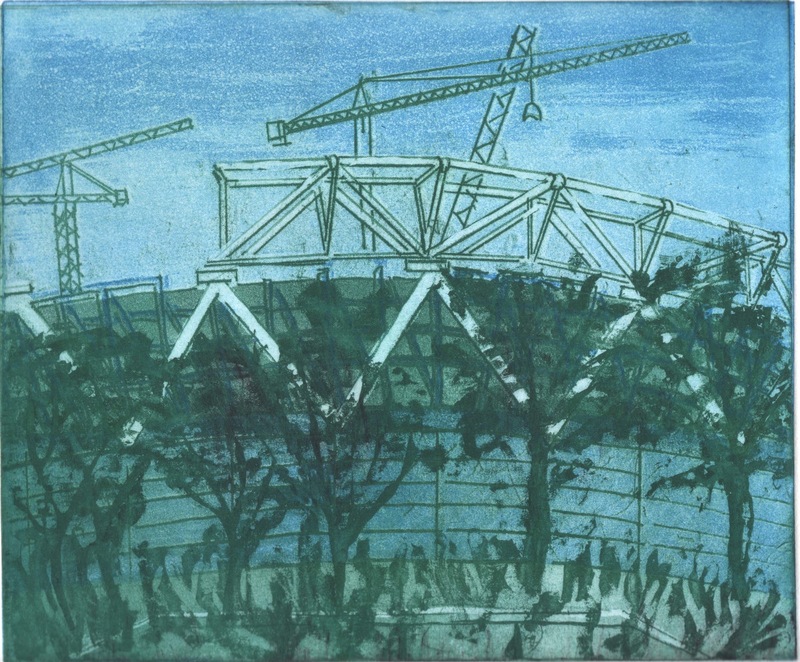 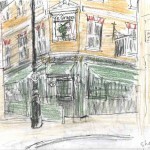 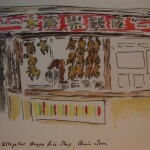 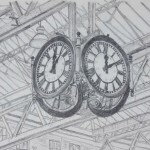 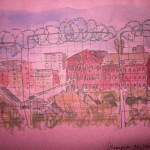 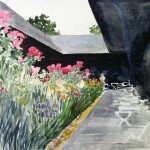 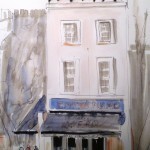 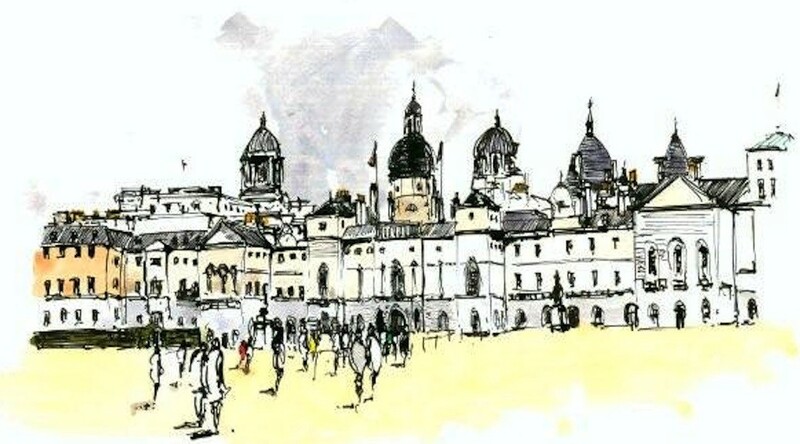 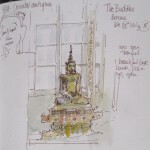 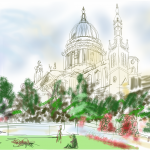 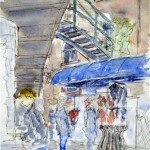 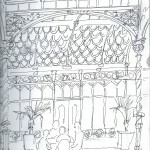 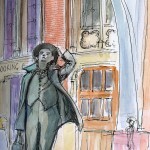 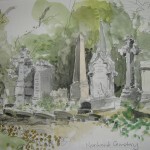 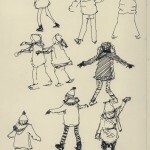 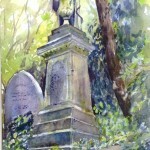 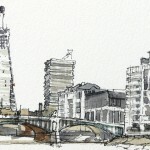 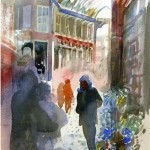 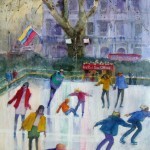 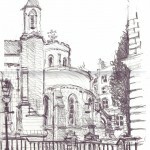 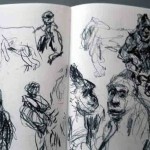 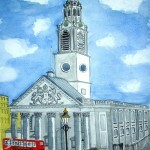 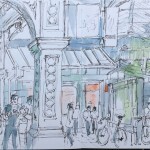 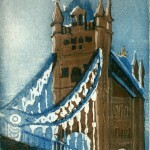 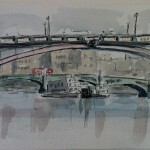 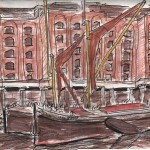 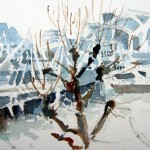 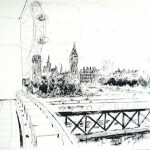 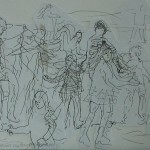 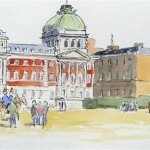 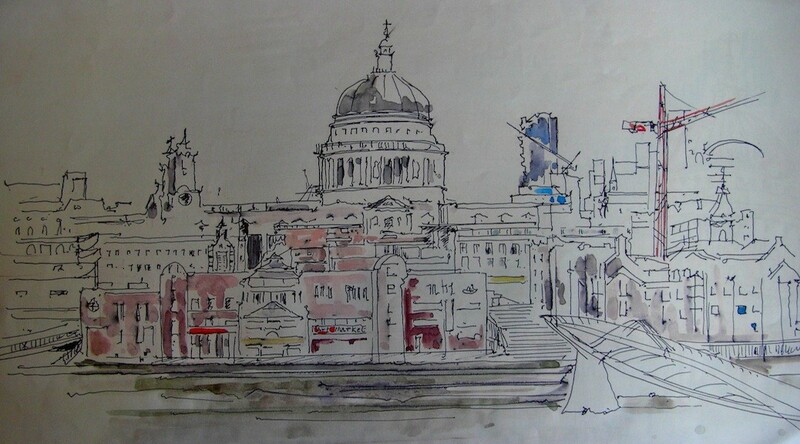 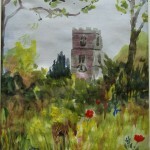 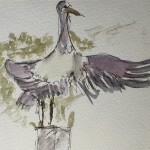 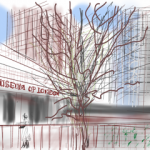 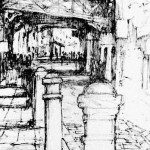 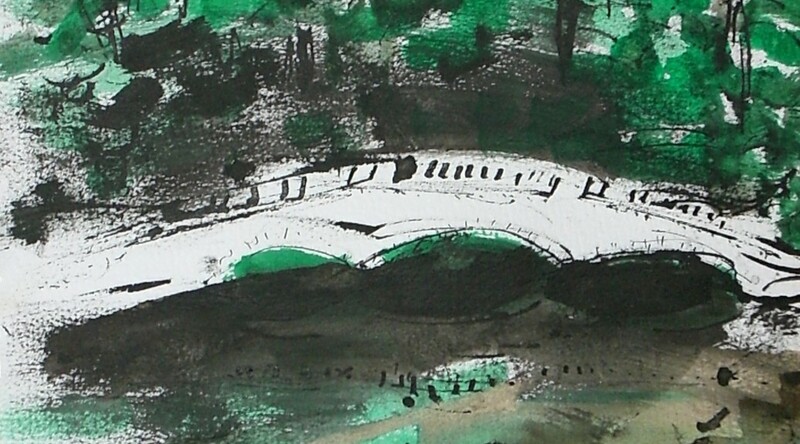 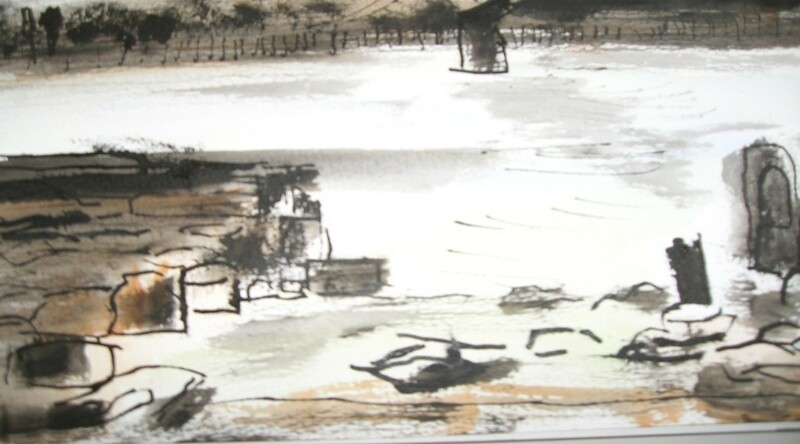 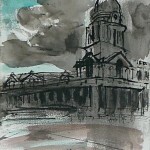 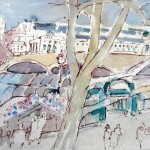 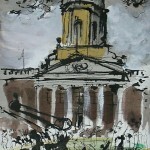 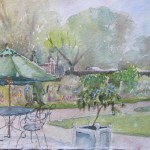 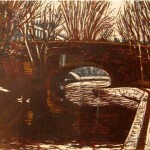 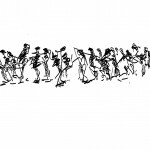 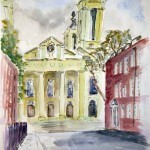 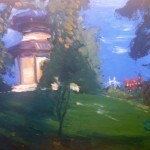 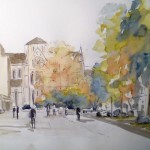 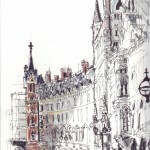 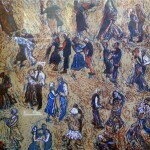 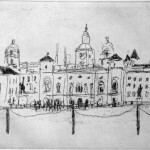 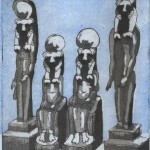 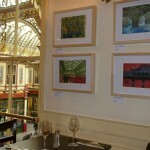 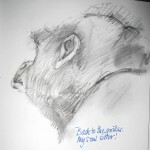 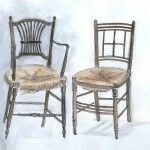 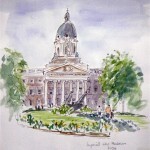 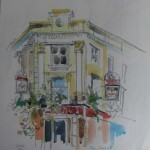 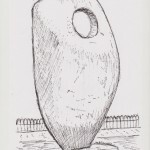 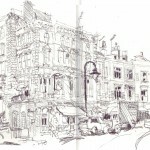 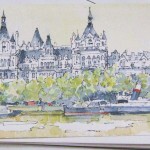 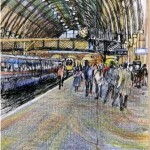 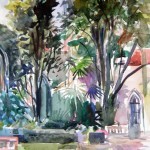 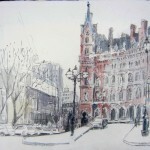 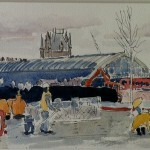 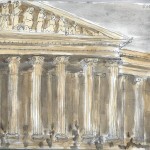 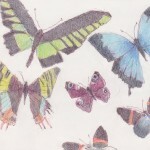 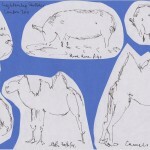 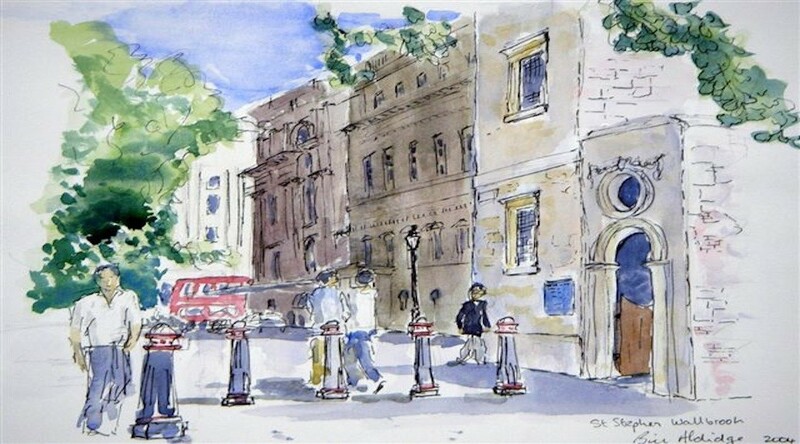 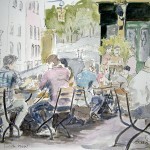 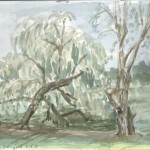 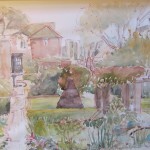 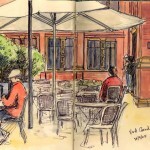 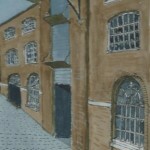 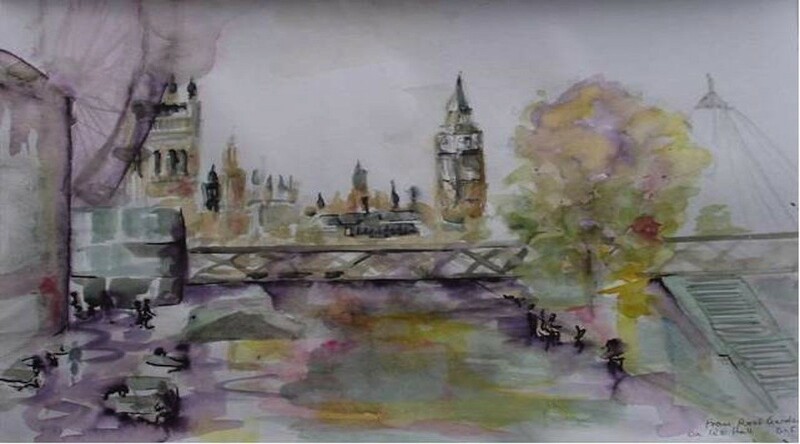 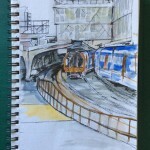 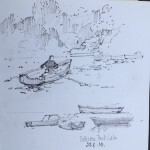 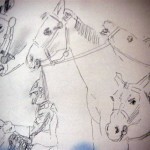 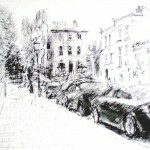 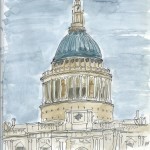 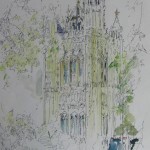 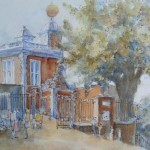 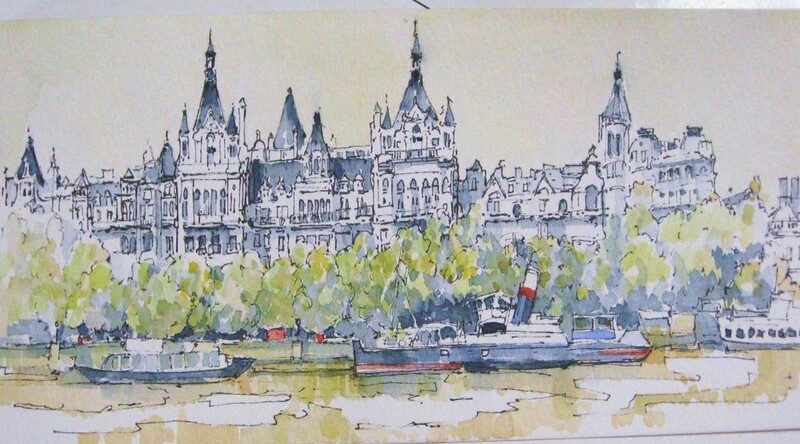 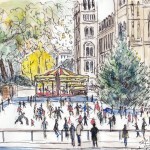 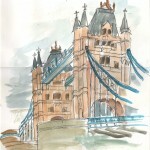 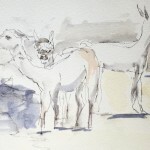 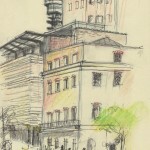 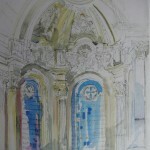 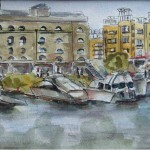 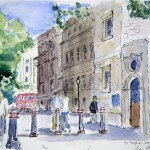 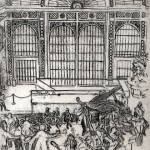 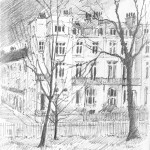 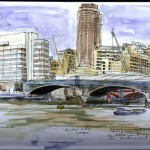 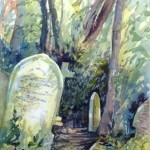 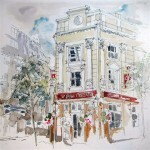 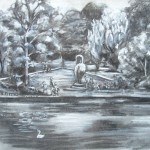 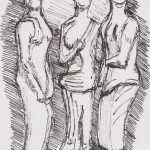 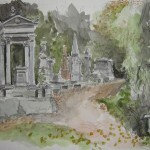 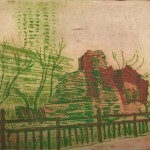 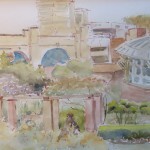 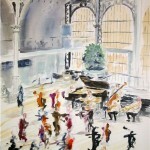 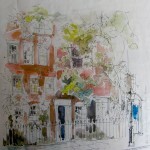 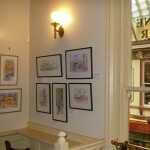 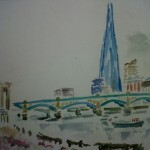 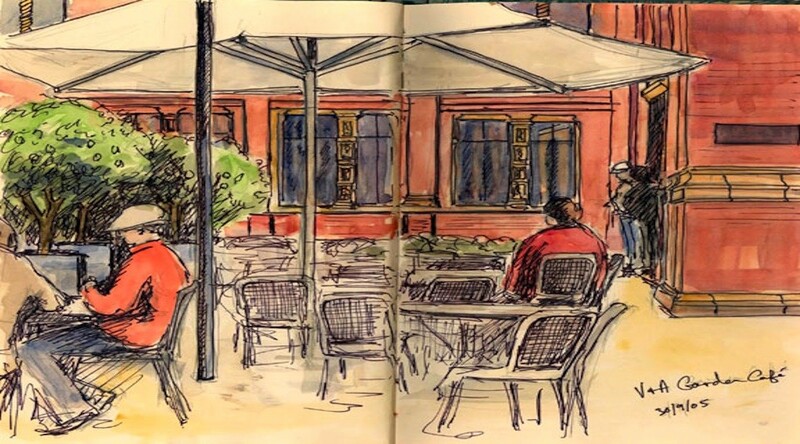 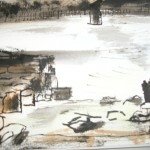 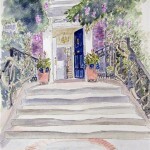 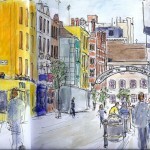 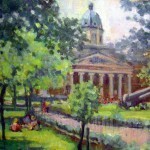 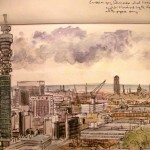 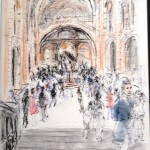 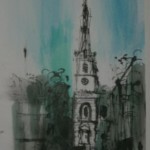 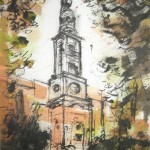 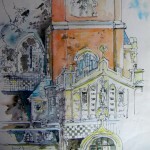 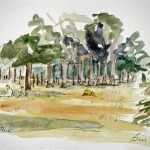 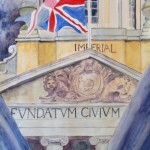 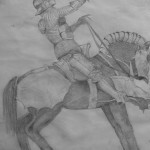 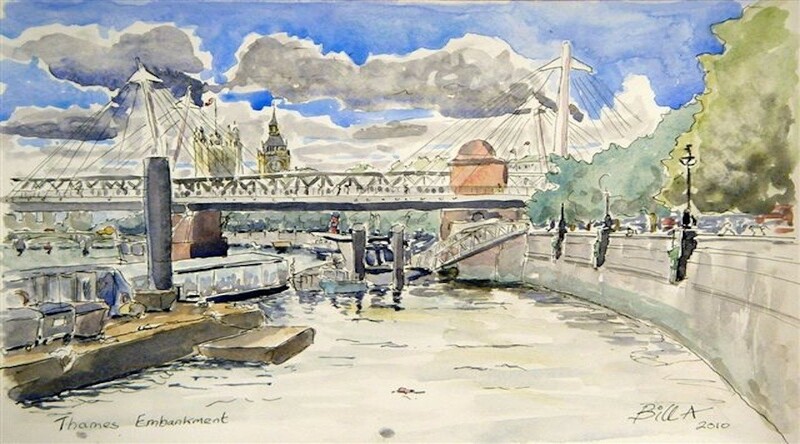 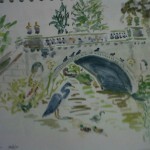 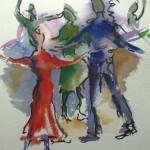 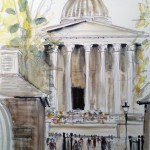 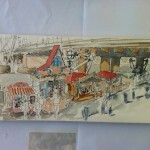 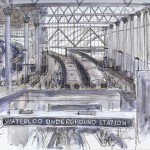 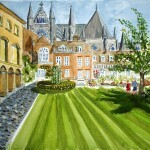 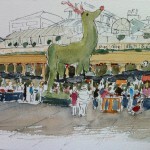 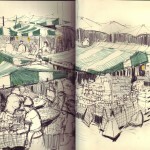 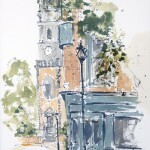 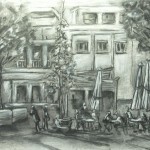 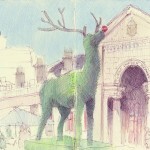 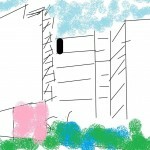 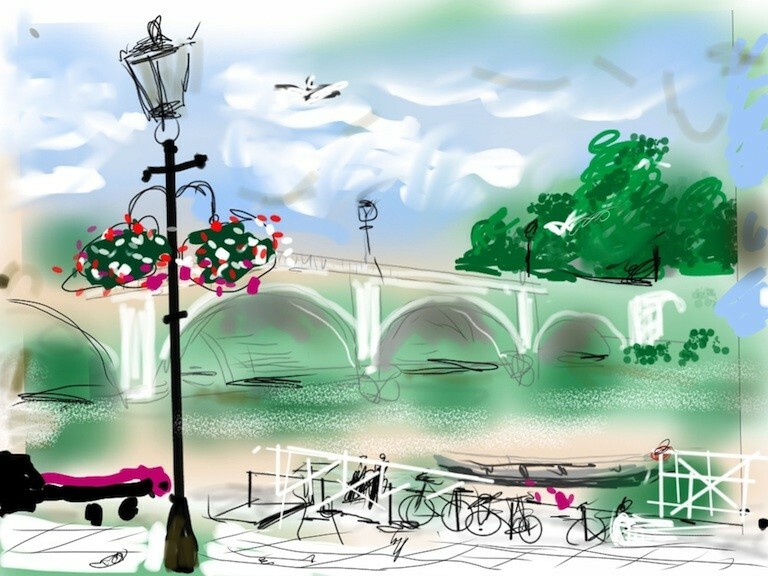 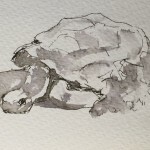 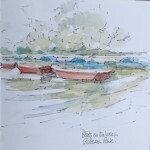 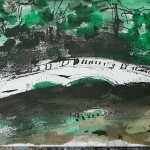 She has exhibited with the Islington Art Society, North One Artists, Mary Ward and the Society of Graphic Fine Art, where she is a committee member. 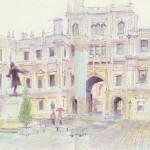 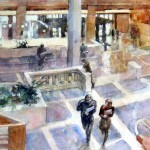 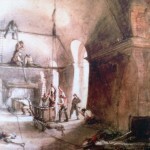 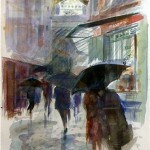 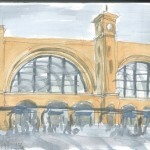 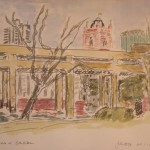 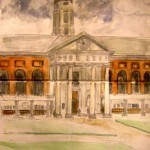 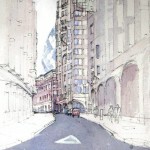 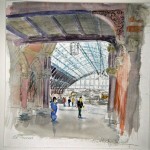 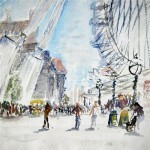 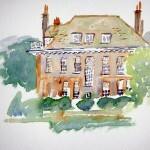 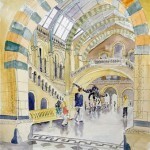 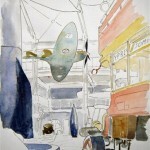 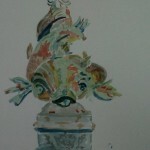 Architectural subjects and portraits are her chief interests, and watercolour her preferred medium. 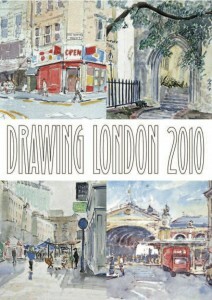 Chris Great and Stuart Stanley joined the group in 2012. 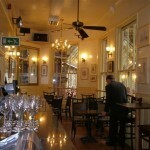 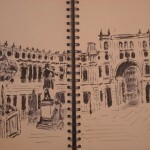 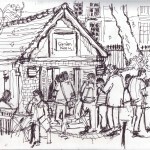 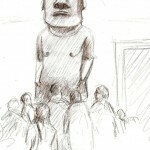 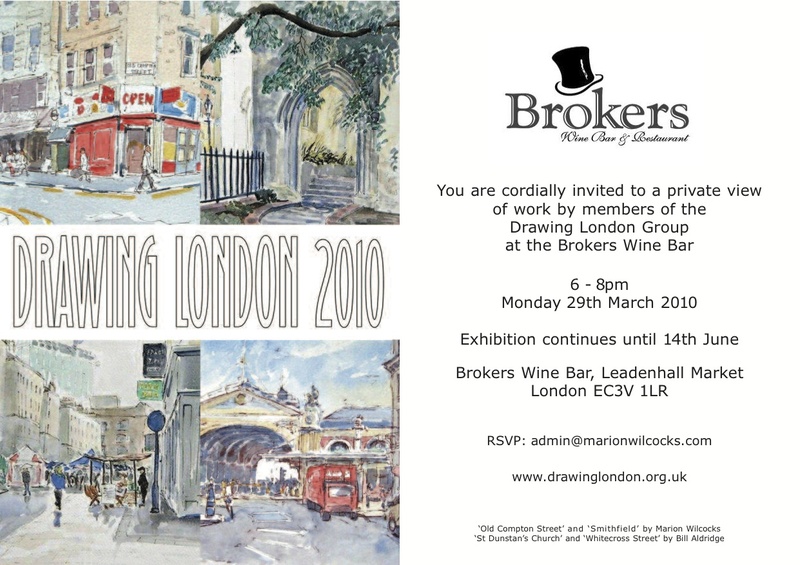 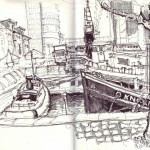 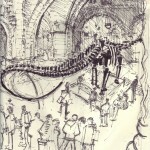 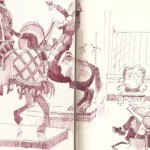 Drawing London at the Brokers Wine Bar 29th March – 14th June 2010. 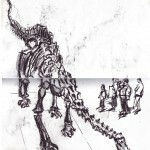 John Crane joined the group in 2010. 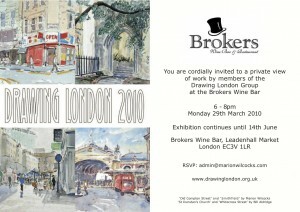 During the year, we met at the locations shown below. 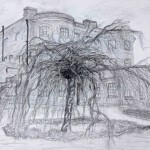 Katherine Tyrrell joined the group in February; Avril Walker and Soso Walker joined in June; and Charlotte Fawley and Wendy Winfield joined in August. 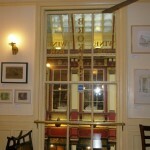 During 2008, the group met from January to November and were joined by Valerie Gold in August; Judy Hillman and Marcus Oliver in September. 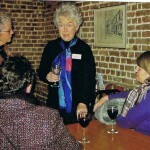 During 2007, the group met from January to November and were joined by Jean Dollimore in January and Jessica Saraga in February. 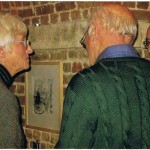 The group met each month from January to November, Les Williams joined them late in the year. 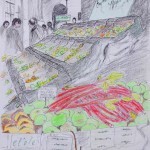 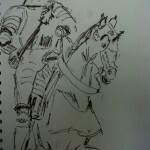 We haven’t yet found images for February and October. 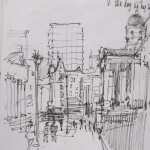 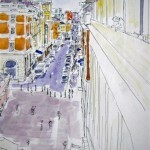 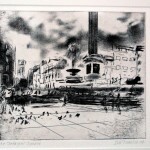 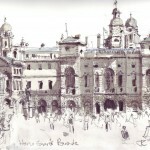 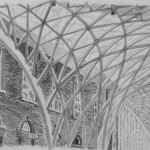 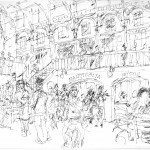 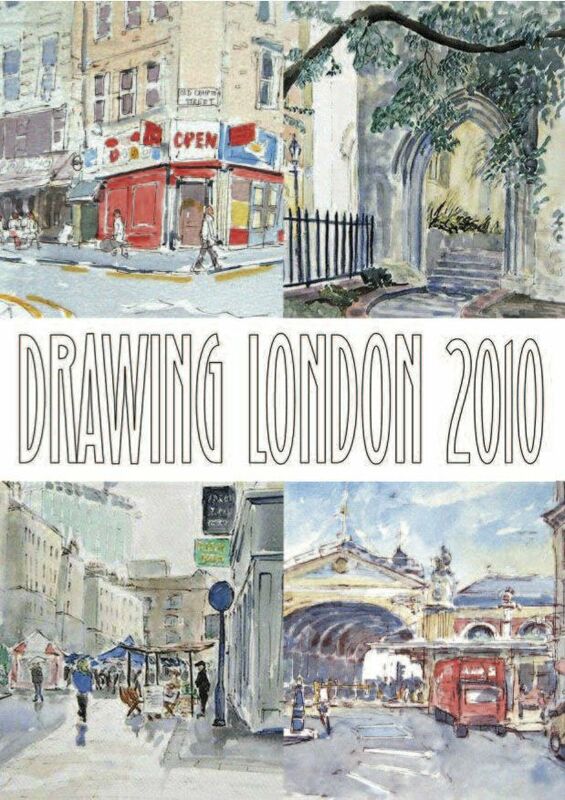 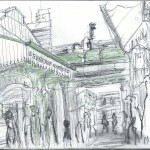 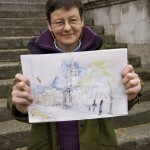 Drawing London at the Footstools Gallery at St Johns Smith Square from 28 February to 1 April 2005. 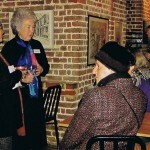 The group met from January to October and Nicky Sherrot joined them some time during the year. 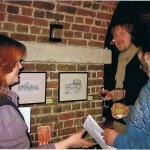 The group continued to meet each month during (except for April which was cancelled). 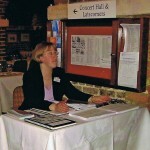 Anne Usborne joined them early in 2004. 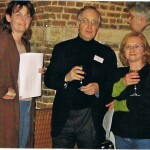 The founding members, Bill Aldridge, Shelby Dawbarn, Ivor Kamlish and Marion Wilcocks met from May to November. 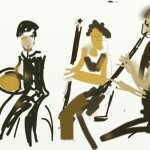 They were sometimes joined by Martin Shortis. 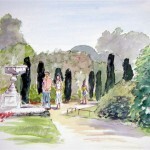 Alan Turner and Lucy Wynne joined the group during the summer.